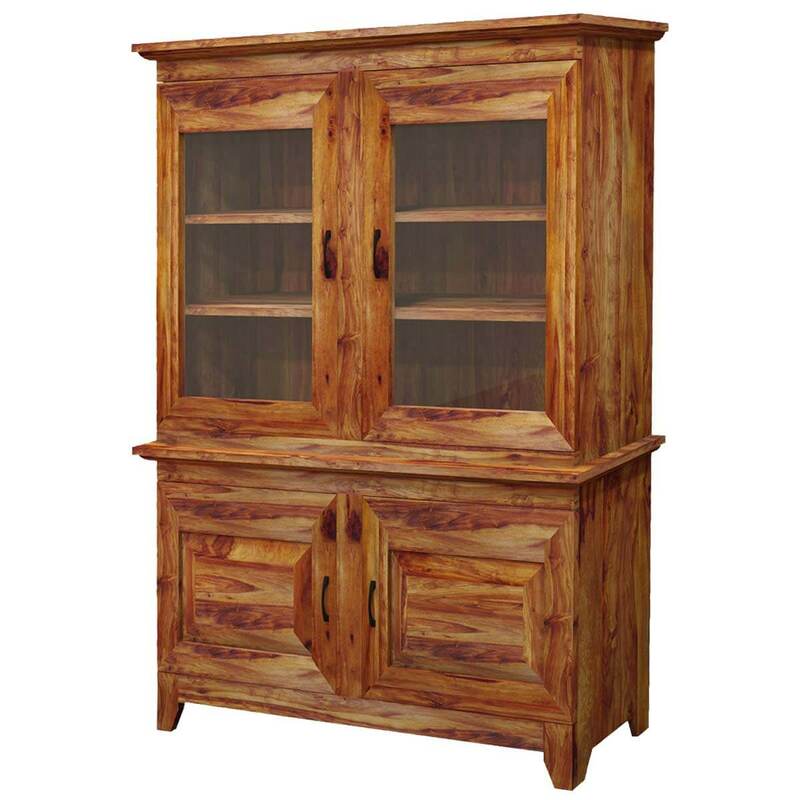 The Original Sierra Nevada Traditional Glass Door Solid Wood Hutch and Buffet Cabinet is effortlessly stylish with plentiful storage space and a classic look. 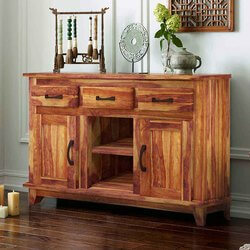 This handmade rustic sideboard buffet is part of our traditional Sierra collection. 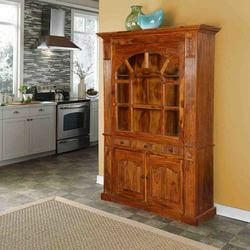 The traditional dining hutch is made of Solid Wood. 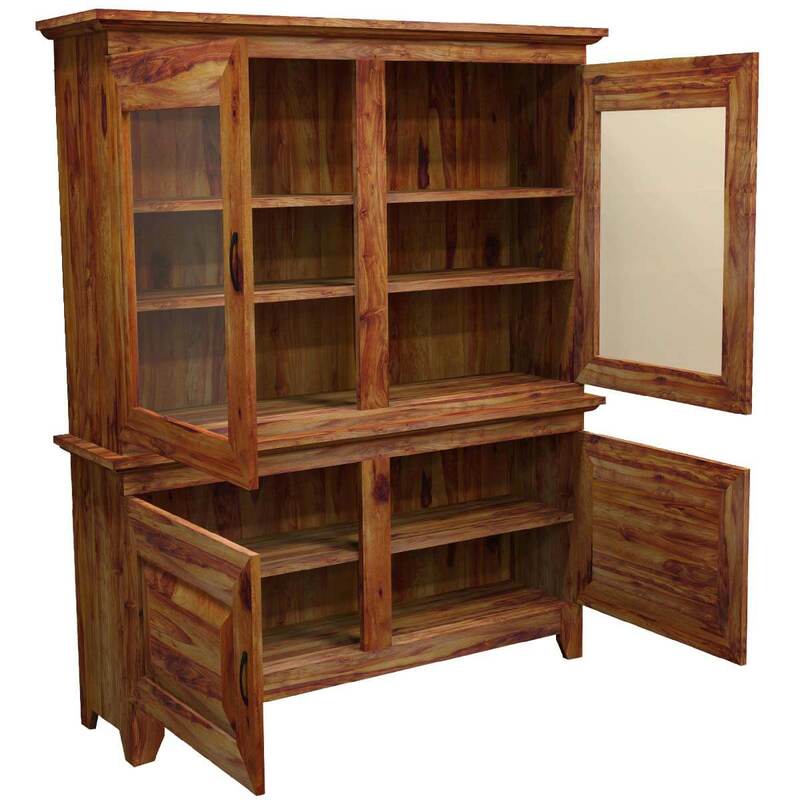 Rosewood is known for its strength, durability and exotic grains. 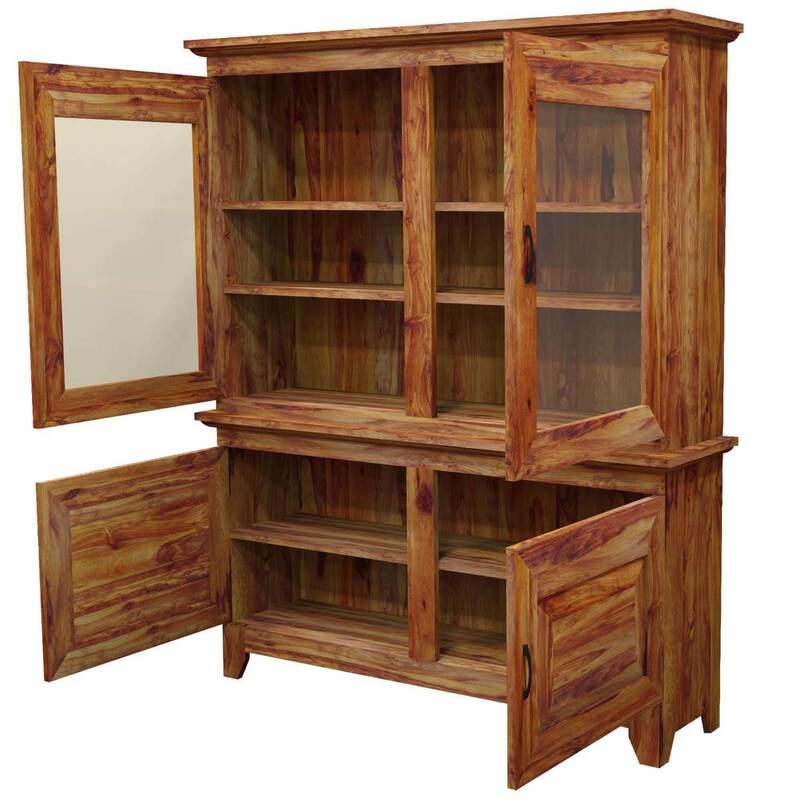 The buffet offers ample storage space to add the comfort of organizing your home easily. 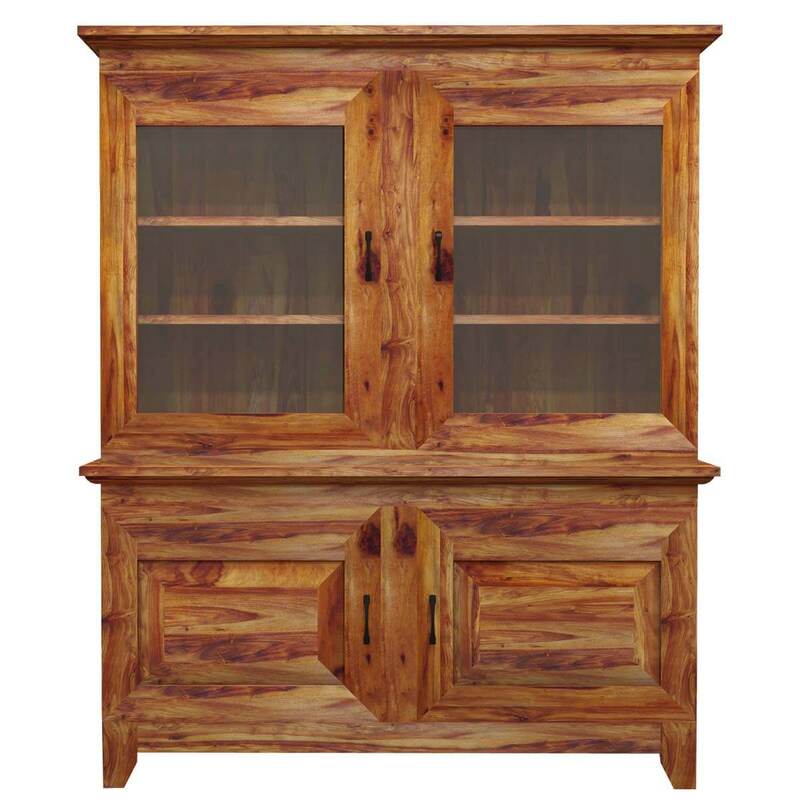 The Sierra Nevada storage buffet hutch features three cupboard compartments separated by shelves on top behind glass doors. 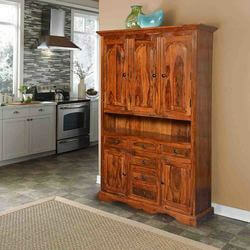 It also has two cupboard spaces concealed behind the doors on bottom. 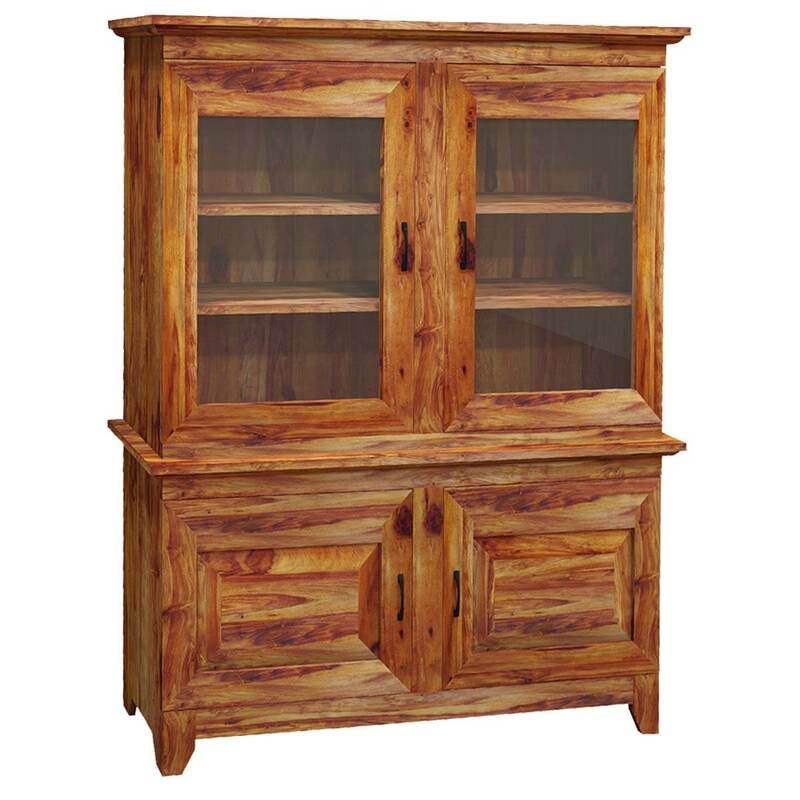 The traditional Solid Wood buffet features exquisite crown design on top. 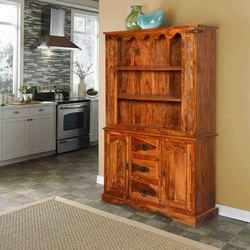 Doors are studded with hand forged metal hardware. 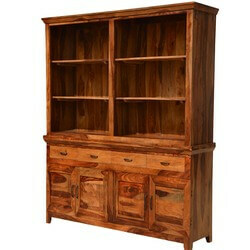 The Solid Wood storage buffet stands off the floor on 4 beautifully designed legs. 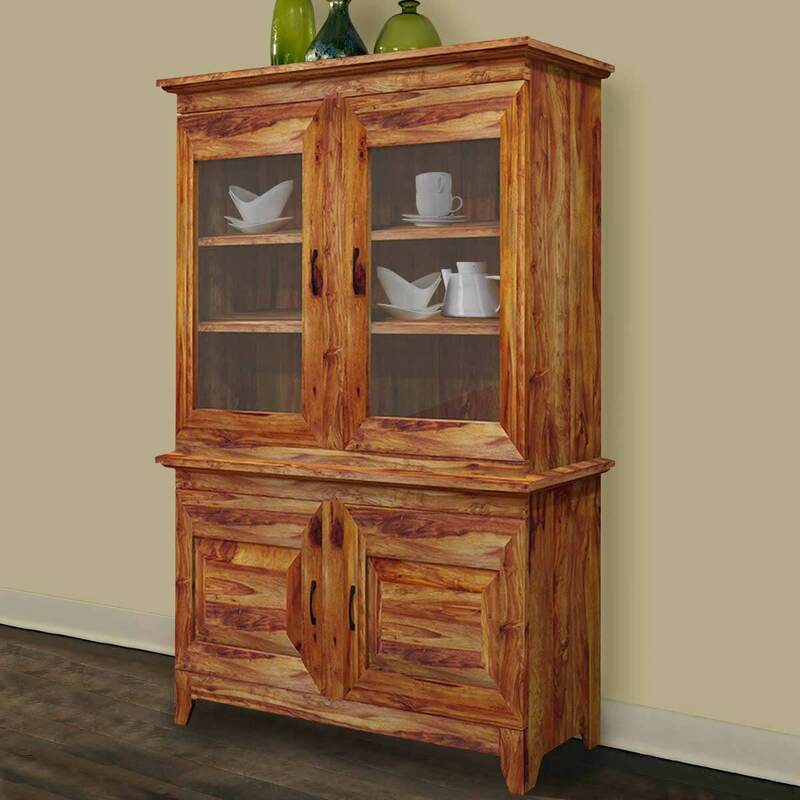 • Crafted from authentic Solid Wood. 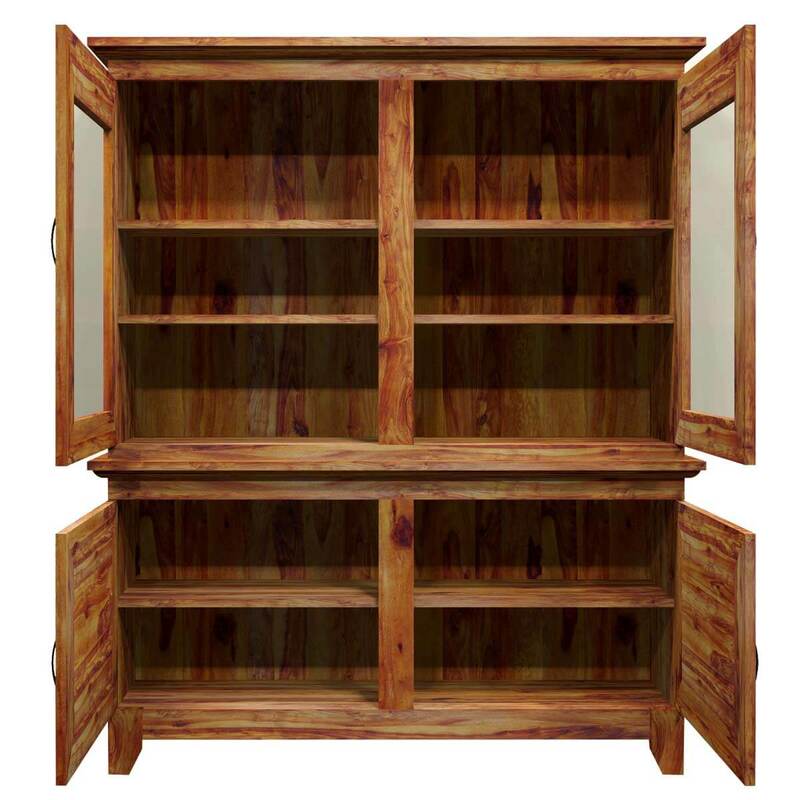 • Plenty of storage space. 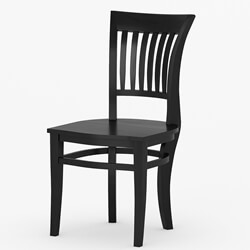 • Metal hardware on doors.